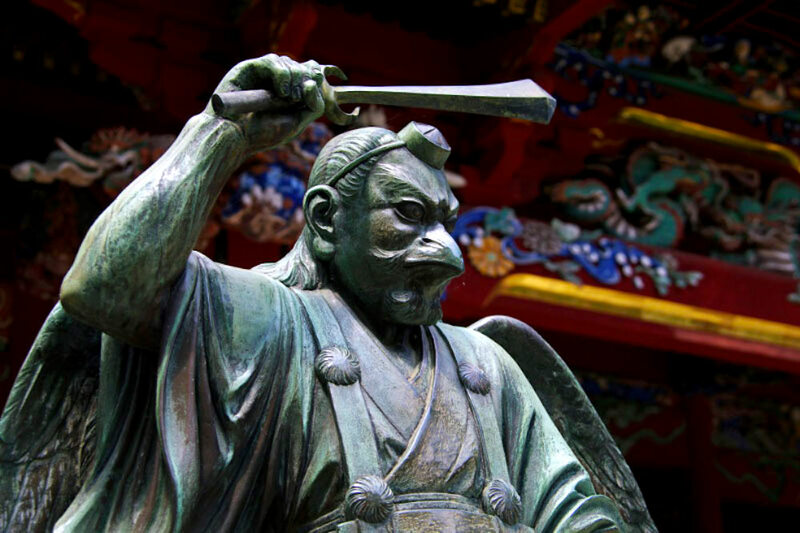 Tengu – is the legendary creature attached to the mountain or forest in Japan. They are known for its long nose and wings or beak and a sword. Its image has been changed, yet the core factor that they are the spirit of the mountain stays the same and people let them talk what they really think of the social conditions. We will take a look into its possible origin, history, and varieties of them. Tengu is a half-bird, half-human mythical creature in the mountains or forest, which appeared in Japanese folk-beliefs, literature and their pictorial depictions. The word Tengu consists of Chinese characters Tiengou (天狗), which means celestial dog in Chinese. In Chinese folklore, Tiengou is most often described as a fierce and anthropophagous canine monster that resembles a shooting star or comet. 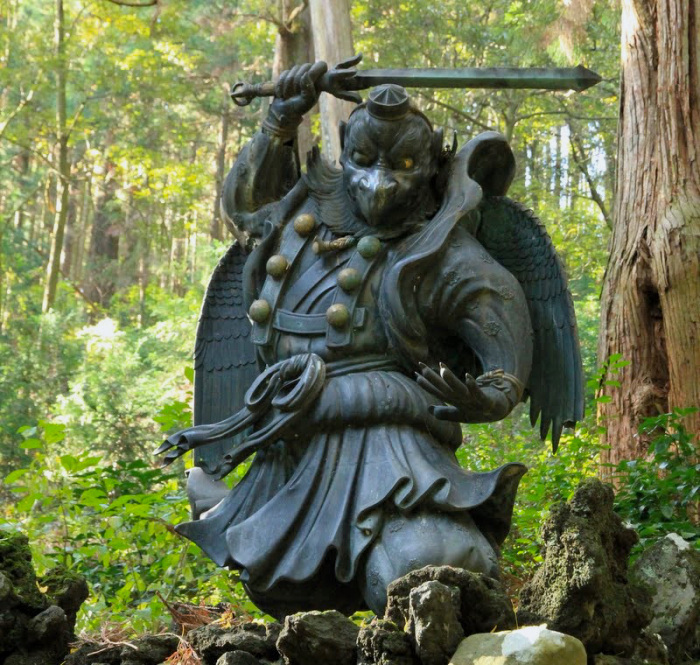 Also, it is related to the winged Buddhist deity Garuda (Karura in Japanese). 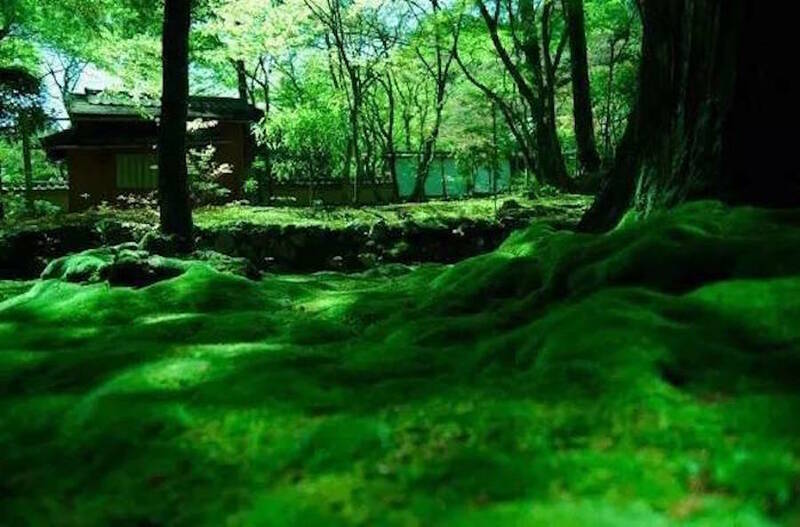 Furthermore, it is seen as transformations (Keshin in Japanese) of Shinto deities, Yama-no-kami (deities of the mountain), mountain guardians often associated with tall trees. Some of the earliest representations of them appear in Japanese picture scrolls, such as the Tenguzoshi Emaki (天狗草子絵巻), painted in 1296, which parodies high-ranking priests by endowing them the hawk-like beaks of them. 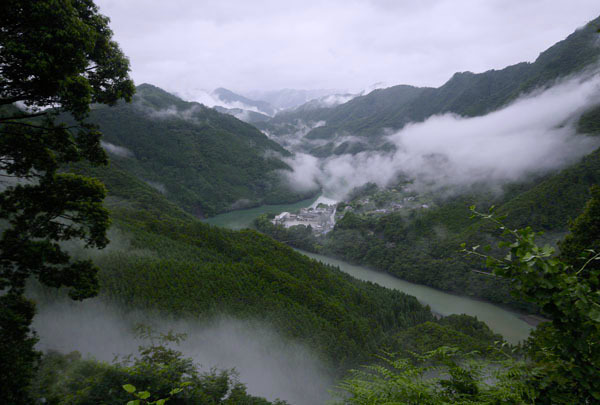 In the course of the history, Tengu and Yamabushi, Japanese mountain ascetic hermits, came to be intertwined. 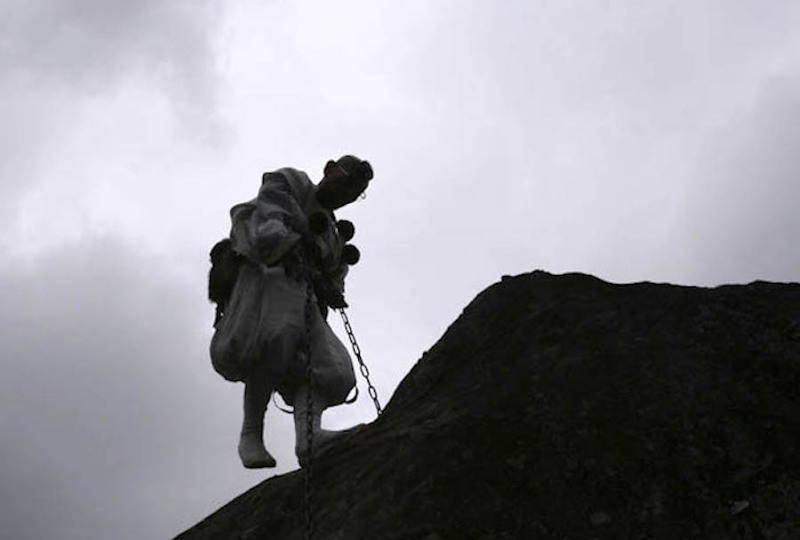 Beginning in the 13th century, they came to be associated in particular with the Yamabushi, the mountain ascetics who practice Shugendo. 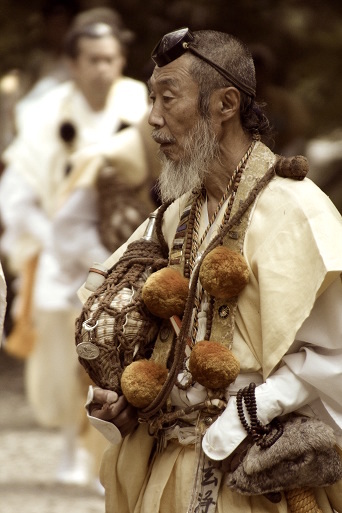 Shugendo is Japanese syncretic folk religion, which incorporated with Shinto, Taoism and esoteric Buddhism. 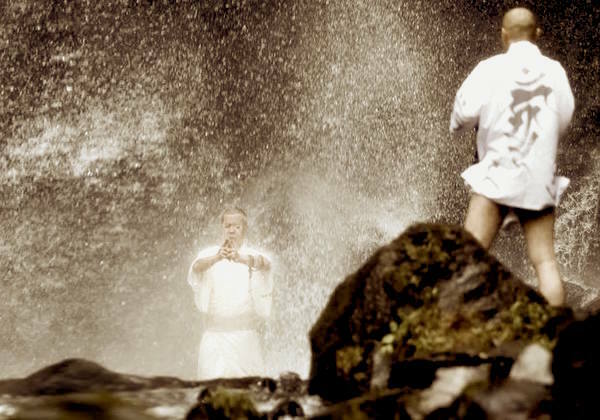 The main focus of Shugendo is the development of spiritual experience and power by hard training in the mountains. 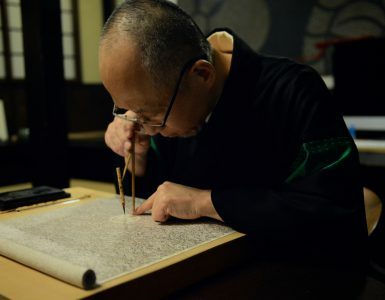 En no Gyoja is considered to be the founder of Shugendo who was ascetic and mystic in the 7th century, Shugendo literally means “the way to spiritual power through discipline”. The association soon found its way into Japanese art, where they are most frequently depicted in the Yamabushi’s distinctive costume, which includes a small black cap and a pom-pommed sash. 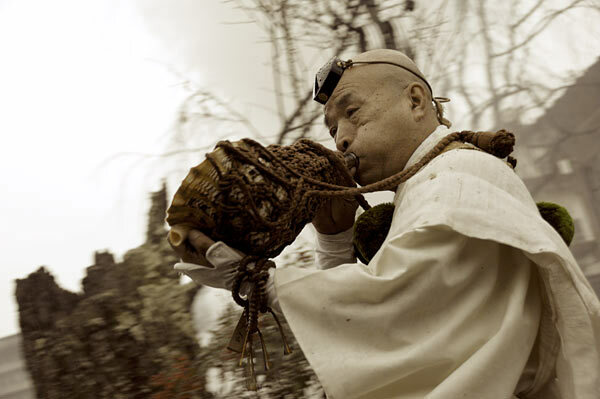 Due to their priestly aesthetic characters, they are often shown wielding the Shakujo, a stick with six or twelve rings attached to it, which was used by Buddhist monks. Interestingly enough, we can see many similarities between Yamabushi and Jewish. Both of them put a loose white robe on and a small black cap on each forehead as we’ve seen. The latter is really unique, in Jewish it’s called Phylactery. In addition to that, both of them blow a horn, in Jewish, it’s made of goat’s horn and in Shugendo it’s made of a conch shell. 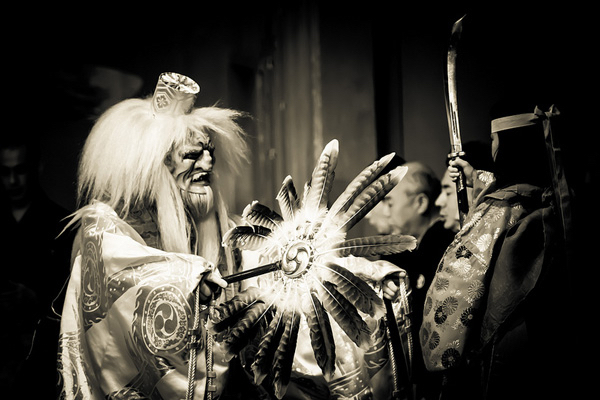 The long nose relates to the Tengu’s hatred of arrogance and prejudice. We still stay human with the long nose means that man is arrogant. So they show an encounter’s negative side by them having the same feature, the long nose. 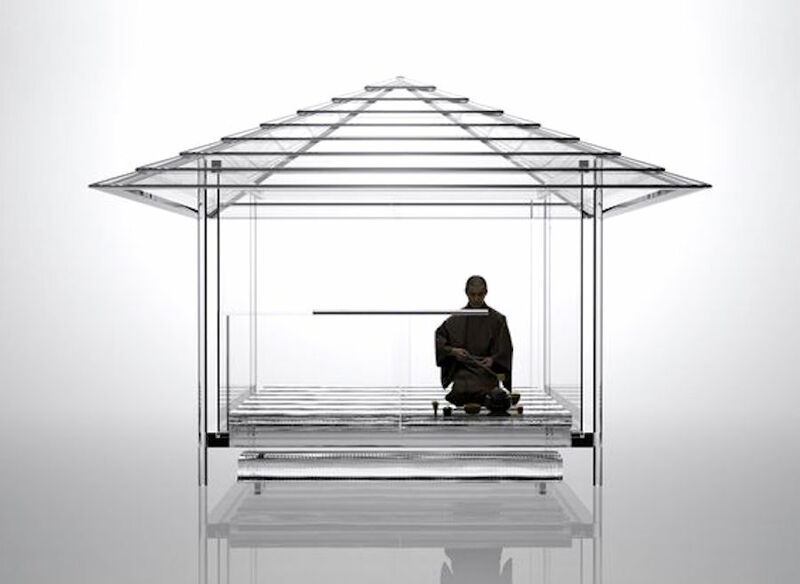 Because of its mischievous behavior that they love playing tricks on those they encounter, especially on pretentious and arrogant Buddhist priests and samurai. By the end of Civil War period (around 1500s), they become a major literary vehicle for criticizing both establishment and nascent Buddhist sects. 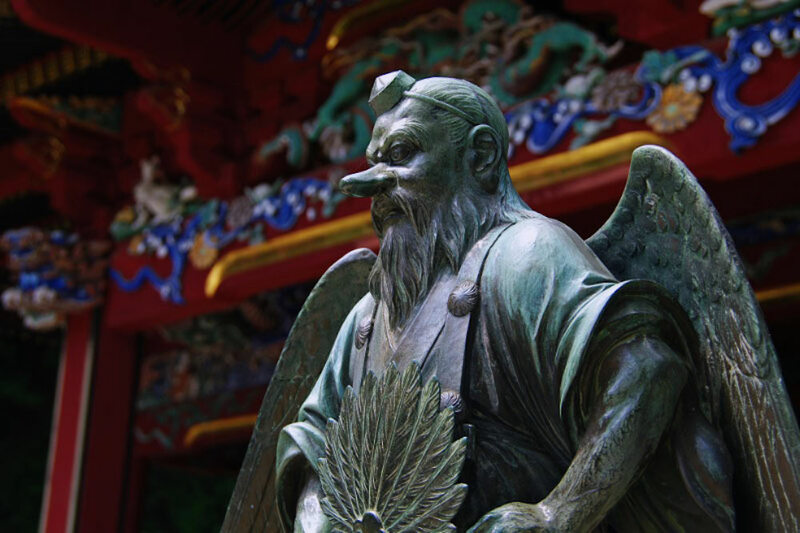 Corrupt Buddhist monks and corrupt Buddhist monasteries were, in fact, a major concern at the time like monks at Enryaku-ji Temple accumulated excessive wealth and military force. 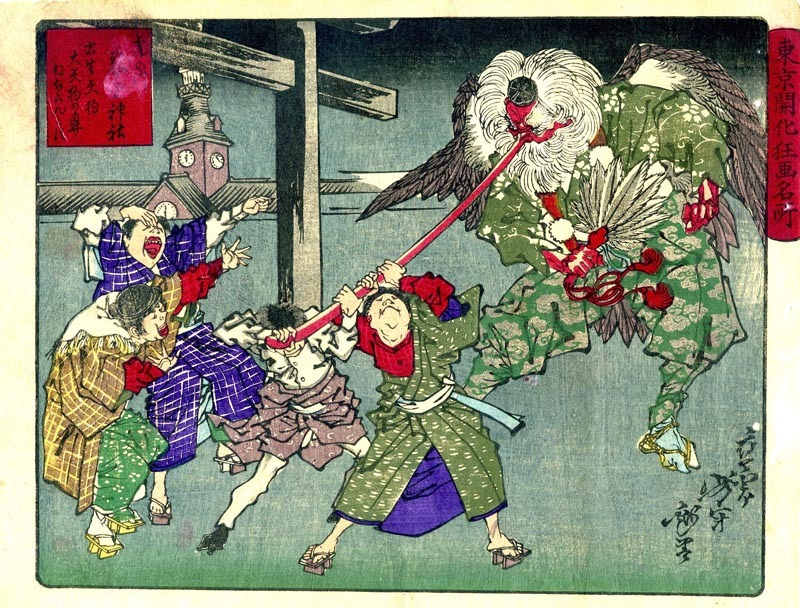 Karasu Tengu wears the same outfit as Yamabushi, has a beak and flies around freely. Although it’s taken as a creature mixed with a crow, its body is covered with feathers like a raptor. Karasutegu has supernatural powers, he used to come down to the downtown of the capital, did some rampant. Nowadays, we recognize them with his long nose, but before, their bodies had been seen as that of a raptor. 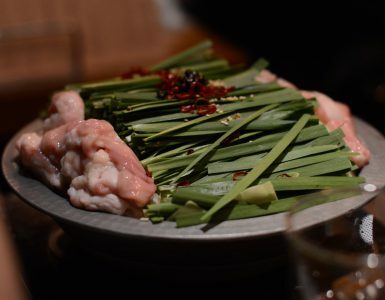 There is a theory that we could trace back its origin to Yatagarasu (Three-legged crow). In Japanese mythology, the appearance of this great bird is construed as evidence of the will of Heaven or divine intervention in human affairs. 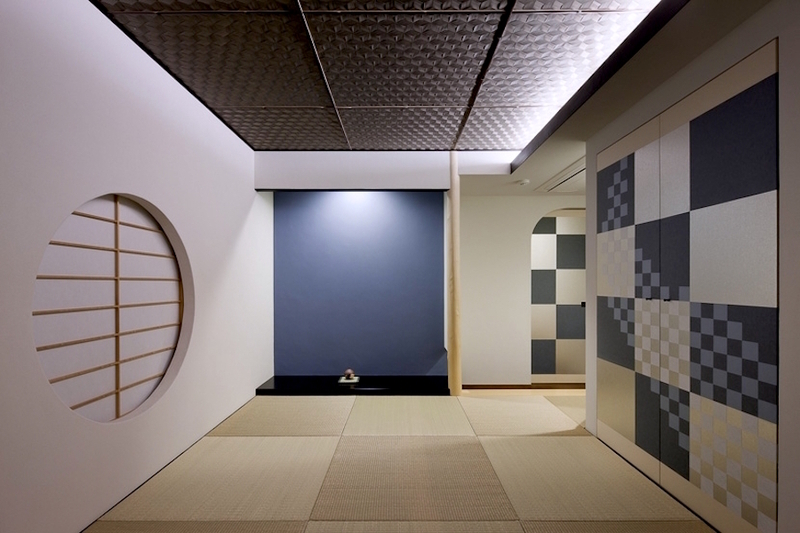 Yatagarasu is mentioned in a number of places in Shinto and is a symbol specifically of guidance. Kurama Tengu is one of the Karasu Tengu aka Mt. Kurama Sojobo, who was a skilled slayer with a sword. 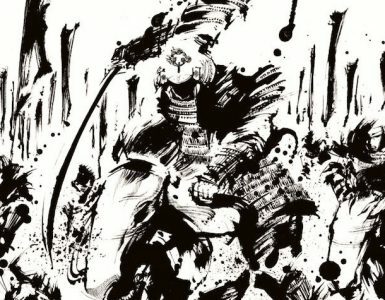 He is said to be the one who taught Ushiwakamaru (Minamoto no Yoshitsune) the swordplay with a katana sword and often called as “Dai (King) – tengu”. 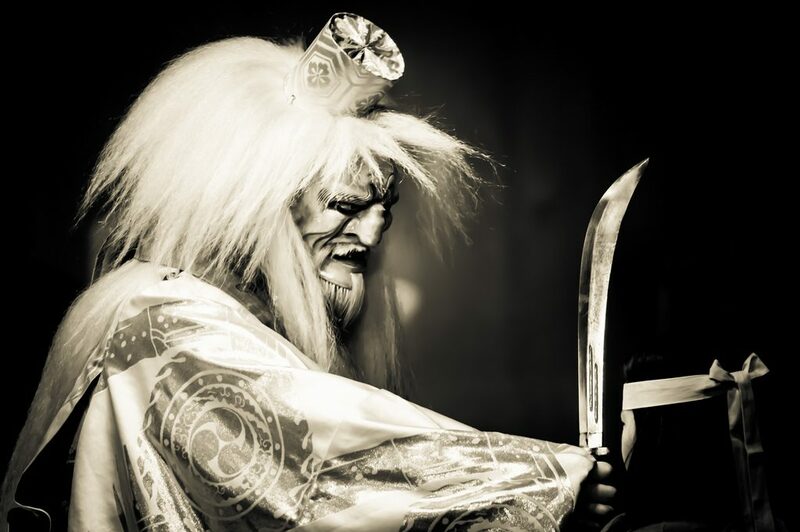 There is a popular noh play of Kurama Tengu. One day in early spring, a Yamabushi heard there would be a cherry blossom seeing party, he thought he would check this out for fun. There were a lot of Buddhist monks with a small child enjoying its beautiful scenery. As soon as they recognized there is a Yamabushi, they ended the party immediately and left a child behind. A left child came and talk to Yamabushi while he felt really bad for monks’ behaviors. Yamabushi assumed this young boy would be a son of Minamoto no Yoshitomo, who is a person in power at the time. Ushiwakamaru confessed that he had been treated badly while other children of his father had been treated really well. Yamabushi felt sympathy for Ushiwakamaru. This tale shows not just how Buddhist monks were arrogant, but also the exchange of Yamabushi as Kurama Tengu and lonely Ushiwakamaru. They have been changed its appearance and attributes for the change of the times, which means it’s a great mirror that reflects social conditions of the time. What attributes would be added to them, we would never know, but sure it would survive as long as we keep our mountains for them to live in and we could enjoy more tales of them.